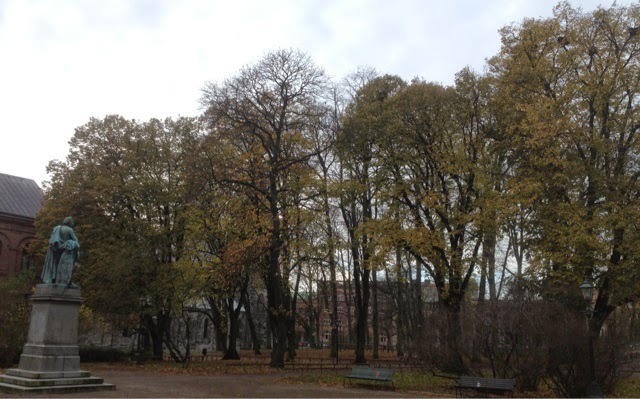 November is almost coming to an end, but luckily for me southern Sweden continues to hold on to fall weather. 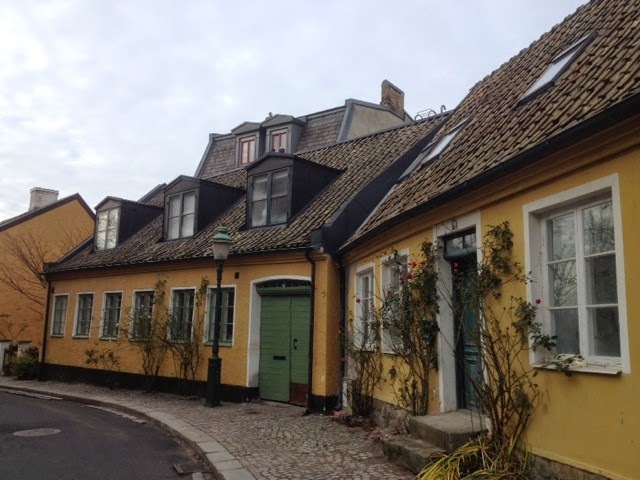 Lund, Sweden. Chilly and gloomy but still pretty. Now that the cold is here and I've come to accept it I'll admit that there are some things about fall that I love. In particular, the colorful leaves floating in the crisp air outside, the cozy fall flavors in the kitchen, and candlelight and warm colorful sweaters. I can't get enough of spices, squashes, pecans, forest mushrooms, and cranberries. I revel in all that fun seasonal stuff! 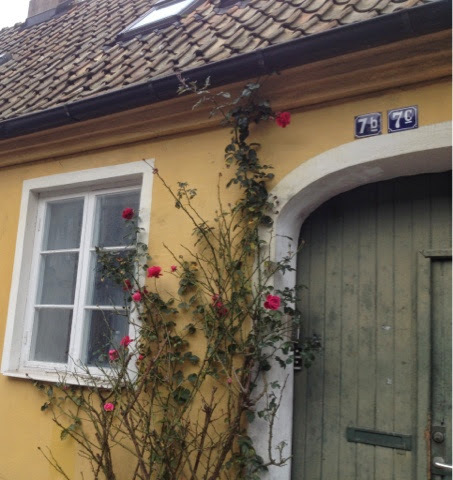 I was so inspired to take a photo of this house...and then I realized it was probably because it was also wearing my colors for the day. 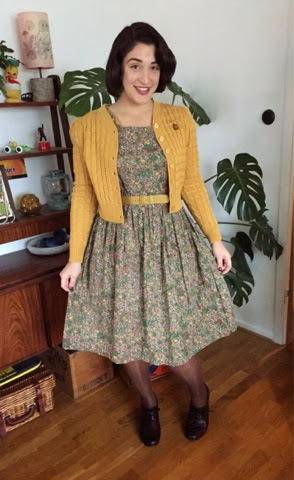 I'm the kind of girl who likes to be matchy, so I jumped at the dance to buy this amazing nut themed 1950's novelty print dress on Etsy from the fabulous Xtabay Vintage based in Portland, Oregon. If you haven't yet heard of them, I highly recommend you check out their Etsy shop! They always have wonderful things. 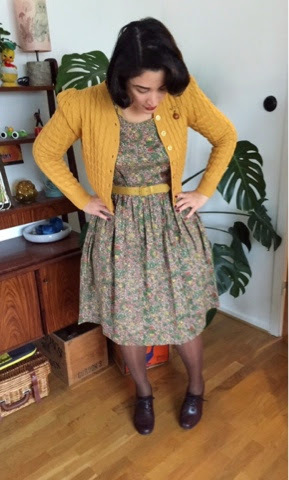 I wore the dress with a sweater from retro-style Emmy Design - that mustard yellow is so perfect for fall! My shoes are from Duo boots. Novelty prints are just the coolest...well, in my book at least. There's just something so unique and fanciful about them. 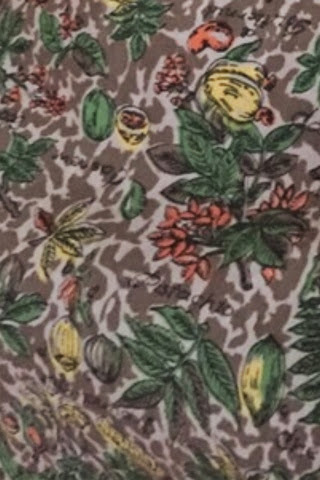 The fabric features a variety of nuts complete with their names and a mustard yellow belt. 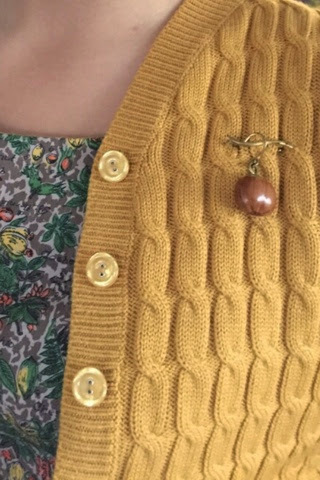 And because I'm so matchy, I had to add a 1950's brooch to my sweater. 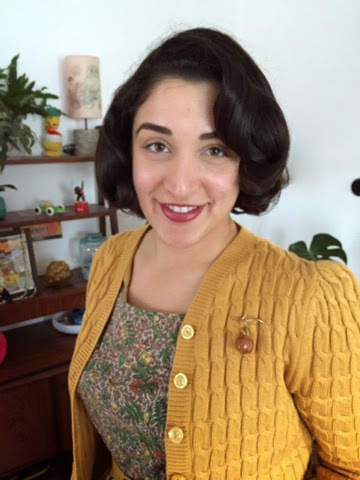 This particular one is special - it was given to me by my boyfriend's mom, whose heyday was back in the 50's. It's made of brass (I believe) and has a real nut dangling from it! Not sure what kind of nut it is, though. Any ideas? In any case, you can't get more fall than that! 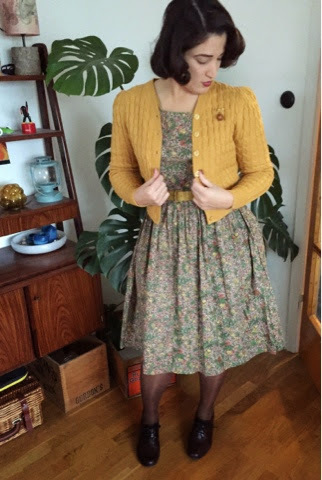 That cardigan is so adorable, love the colour!